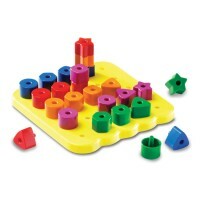 Build your own rainbow and have some colorful fun! 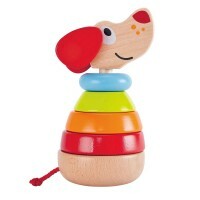 Educo's Double Rainbow Shape Stacker is a vibrant stacking toy, perfect for all toddlers. 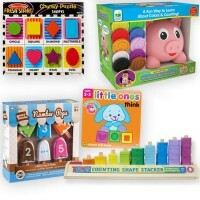 The Educational Toys Planet play set features adorable wooden blossom and star shaped pieces that can easily be stacked on the durable wooden base. 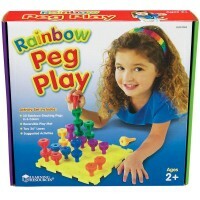 Mix and match your vibrant play pieces on each of the stacking poles to create crazy rainbows. 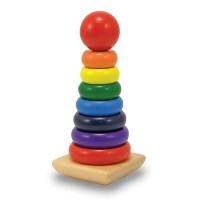 All 19 pieces of the Double Rainbow Shape Stacker set are made from eco-friendly Baltic birch plywood and hardwood. 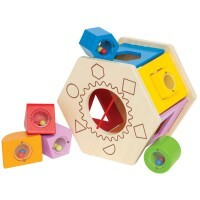 Educo uses the highest quality materials and develops the safest most innovative designs, making this toy great for all small children. 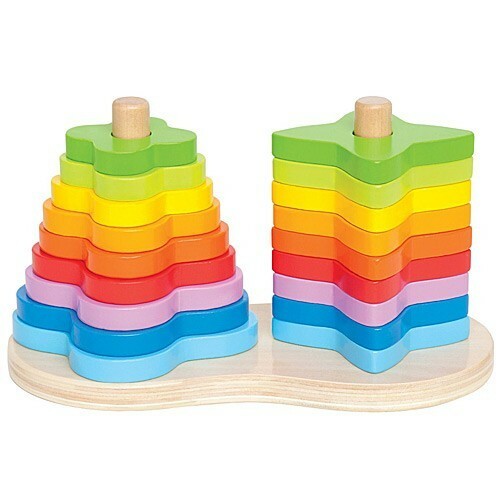 Your child will love creating colorful rainbow stacks and you will love how quickly your child develops motor skills, dexterity and matching skills. 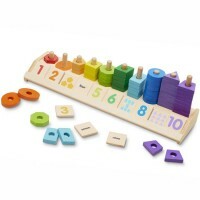 Dimensions of package 4.13" x 7.84" x 4.25"
Write your own review of Double Rainbow Shape Stacking Toy. Rating: 5 Nice! 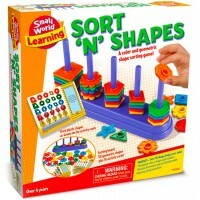 by Hape Toys Great toy for learning hand eye coordination. My son really enjoys it.